Calvin Sieb was born in Newark, New Jersey. He attended the Meadowmount School of Music and the Juilliard Graduate School of Music. 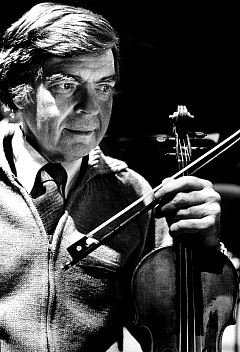 His teachers included Jacques Thibaud, Ivan Galamian, Joseph Gingold and Nadya Boulanger. 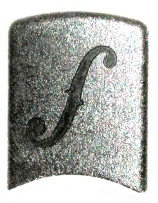 Sieb was named Chevalier de l'Ordre des Arts et Lettres by the Ministre de la Culture de la France (1989). 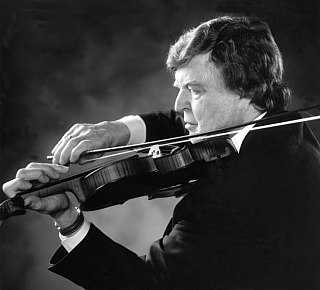 He was concertmaster for the Montreal Symphony Orchestra 1959-1979. 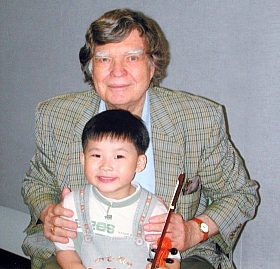 The next 10 years, he was concertmaster for the Orchestre National du Capitole de Toulouse, France. 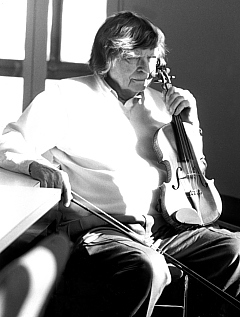 He was Professor of Violin, Viola, Chamber Music and Orchestra Coaching at the University of Ottawa 1989-2001 and taught at the Conservatoire de Music de Gatineau, Quebec. As a soloist, Calvin Sieb performed with many eminent conductors, including Charles Dutoit, Franz-Paul Decker, Kyril Kondrashin, Zubin Mehta, Walter Susskind, Charles Munch, Wilfrid Pelletier, and Pinchas Zuckerman. My mother, Augusta Adelaide Cyphers, (b. 1900, Newark, New Jersey) was very musical and played the piano. Although evidently talented, her family had limited means and aspirations and could only give her the basics in music education. 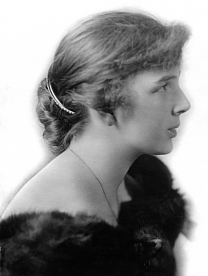 The family was middle class, and in 1915, when she started piano lessons, there was no thought of her becoming a professional. She quickly learned the popular songs of the day and was always called upon to play them for parties and to play the most popular Protestant hymns at church gatherings. She was vivacious and was probably a bit of a flirt. Surprisingly enough, of all the ‘wild’ boys that ran after her, the one she ended up marrying was one of the “squarest,” church going, ‘good’ and ‘righteous’ men: Robert George Sieb, (b. 1892 in Irvington, New Jersey). In 1925, the President of the United States was the very ‘pure’ churchgoing Protestant, Calvin Coolidge. So naturally my mother, who admired this president, named her only son after him. 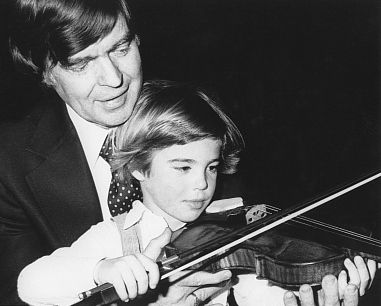 Thus, on May 30, 1925, I, the future violinist, Calvin Robert Sieb, entered for the first time on the stage of life. 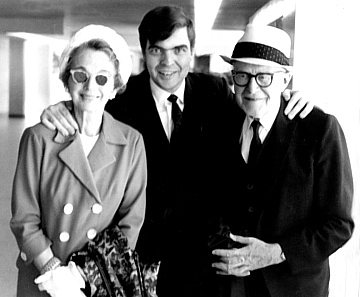 Upon my return to New York in 1951, I met Dr. Wilfrid Pelletier, the Director of the Conservatoires de Musique et d’Art Dramatique de la Province de Quebec. 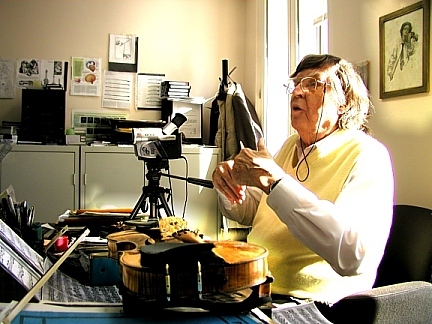 He hired me immediately to teach at the Conservatoire in Quebec City. In the exams at the end of my first year of teaching, 1951-1952, two of my students won the first - First Prize and the first - Second Prize ever awarded in the province of Quebec. When I arrived at my first teaching post in Quebec, I brought with me a conception of the newest ideas of performance technique and sound production from New York City. The teaching in Quebec at that time was rather old-fashioned. As a result of my teaching, my students sounded more professional. To teach someone something, you must first find their intelligence level and their language of communication. Then to communicate with anyone, one must adapt to their level. Understanding their intelligence level and their cultural background is essential in being able to teach someone something. In 1953 I added the Provincial Conservatoire in Montreal to my Quebec duties. 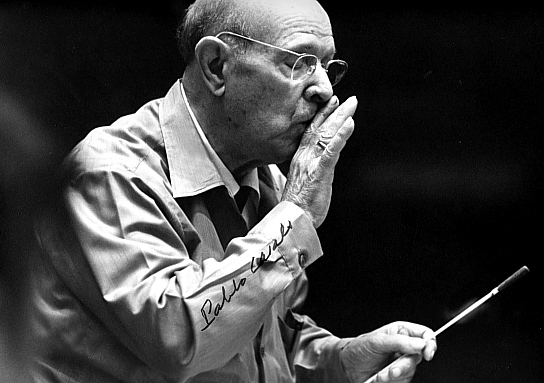 The Casals Festival was founded in 1957 in San Juan, where Pablo Casals had retired. 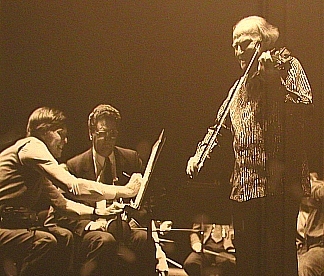 For four years I was the Principal Second violinist of the Casals Festival Orchestra under the direction of Pablo Casals, Leonard Bernstein, Eugene Ormandy, and Zubin Mehta. 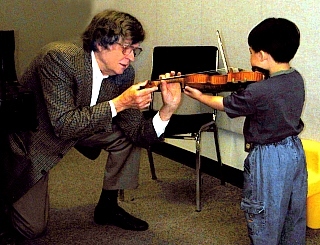 In 1959, I became the concertmaster of the Montreal Symphony Orchestra (MSO), a post I held for 20 years. 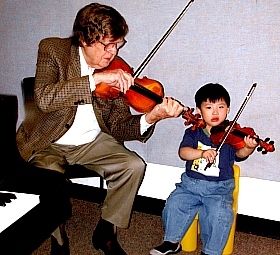 As Concertmaster of the Montreal Symphony Orchestra, I was often called upon to play alone. When I became Concertmaster, the orchestra had no hall of its own and gave concerts in the relatively small auditorium at Plateau High School in Park Lafontaine. When the orchestra moved into the new Place Des Arts, given the size of the main concert hall, Salle Wilfrid Pelletier, it became clear that I would need a better and bigger sounding instrument than the Matteo Gofriller that I owned at the time. I required an instrument that would project the sound to the back of the room. Later I became concertmaster of the Canadian Broadcasting Company’s Radio and Television Orchestra, as well as concertmaster of The National Film Board of Canada Studio Orchestra. The National Film Board mainly produced documentaries. We were not looking at a film screen while playing. The conductor’s job was to coordinate the music with the action, and we watched the conductor. Ninety-five percent of the time the composer of the film music was conducting his own music. He had originally conceived of the music with the film, so he knew what he wanted as far as coordinating the music with the action or mood. The contractor who was responsible for hiring the musicians had to get the best people because the work was demanding, especially for the wind players who were each basically playing solos. I did not choose the musicians, although they were usually the same people who I worked with at the CBC or the Montreal Symphony Orchestra. 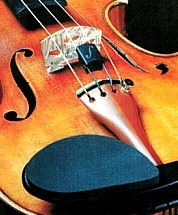 There were never many string players: usually four 1st violins, three 2nd violins, two violas, two celli, and one bass, plus winds. After recording with an echo technique, these few strings could sound like a full symphony orchestra. Being so few musicians meant that we had to play well together and in tune. Timing was the responsibility of the conductor, but we had to be quick to follow exactly what the composer/conductor wanted. We had to follow him, and he had to follow the film action. 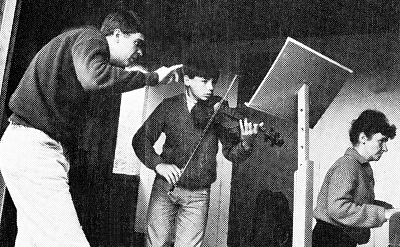 In 1979, I was invited by conductor Michel Plasson to be Principal Concertmaster of the Orchestre National du Capitole de Toulouse in France, a position I held for 10 years. 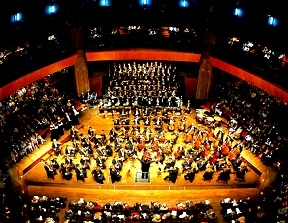 Created at the beginning of the 19th century to serve the opera, the Orchestre National du Capitole de Toulouse became a symphonic orchestra in 1945 and a national orchestra in 1980 with over 100 musicians. In 1989, I was invited to join the Faculty of The University of Ottawa, a post I held until 2001. 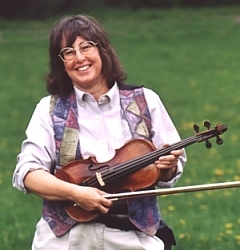 I am presently Professor of Violin, and Viola with classes in Chamber Music and Violin and Viola Repertoire at the Conservatoire de Music de Gatineau, Quebec. And the future...I want to continue teaching and play chamber music concerts.